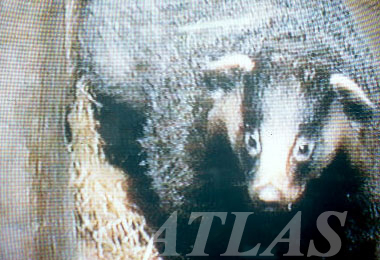 Badger, Meles meles melanogenys, is one of the reservoir host of T. spiralis in Korea. 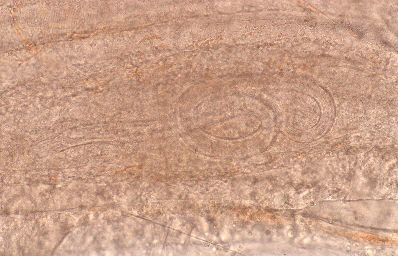 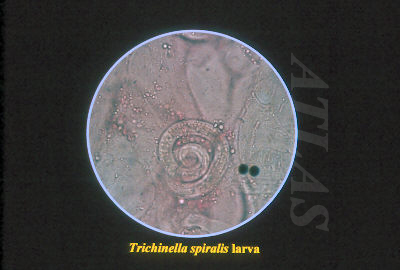 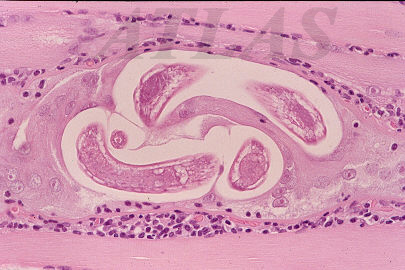 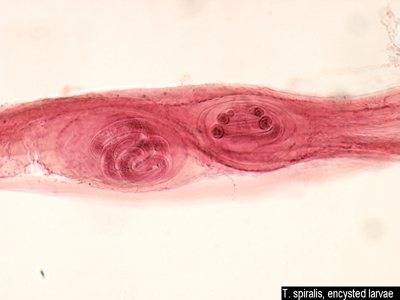 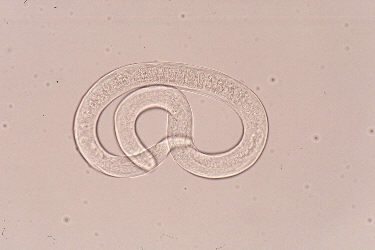 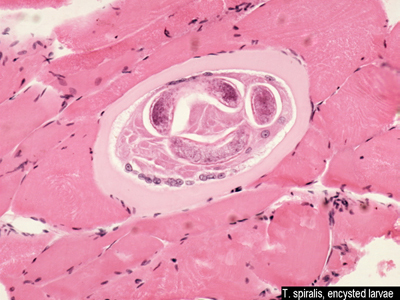 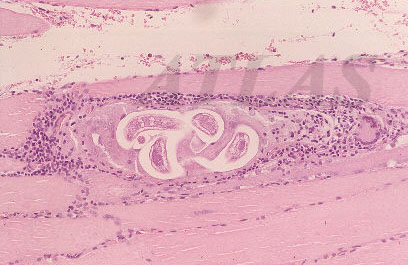 A sectioned larva of T. spiralis in the worm cyst of muscle biopsied from human. 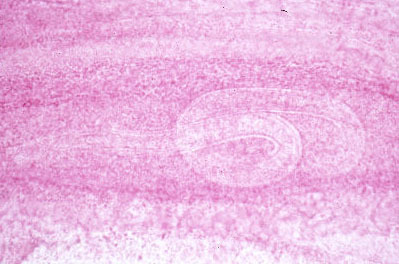 H&E stained.